I literally could not breathe for 11 years. The air in Los Angeles left my asthmatic airways distressed and exhausted. At one point I ended up at UCLA Medical Center for days, pumped full of drugs and under the threat of being put on a respirator. I walked away, determined to never go back. I moved away from Los Angeles later that year to attend a doctoral program in clinical psychology in Oregon’s beautiful Willamette Valley. Liberated from the toxic air, I set out to renew my passion for running. I was living in Track Town USA after all, and running seemed to be the perfect antidote for the stresses of grad school. Photo attributed to Flickr user Tony Crider. Within weeks my left tibia was fractured. No sooner would one fracture heal then another would emerge for no reason. 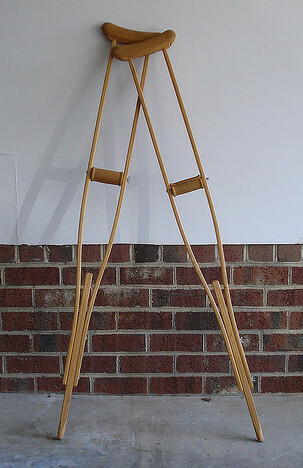 Over the course of graduate school I was in and out of casts and crutches, as one by one bones would fracture or break. I was no longer running. Metatarsals would break from stepping out of my car, or off of a curb. My doctor at the university health center believed that I was suffering from osteoporosis, a bi-product of years of being on and off of high doses of prednisone to treat my asthma. My first Dexascan revealed what I had feared – my bone density was two standard deviations below the mean for my age. Essentially, I had the bones of an 80-year-old woman. My years of exercise and healthy eating had not mitigated the destructive effects of years of using steroids to treat my asthma. I could no longer run, skate, ski, or engage in any other bone stressing activity. My bones were so brittle that any insult placed me at risk for a serious injury to my hips or spine, let alone the rest of my body. A life long athlete, I felt physically and emotionally broken. My primary coping mechanism for life stress was gone, and depression set in. I took up cycling with a vengeance, and hit the weight room even harder to try to increase muscle mass and bone density. I began a daily regimen of biophosphates, calcium, and Vitamin D. My bones continued to break. In 2007, a repetitive stress fracture nearly cut the upper portion of my left femur at my hip in half. A lack of bone mass made my femur bone inoperable. I spent over seven months on crutches. I’d even nicknamed my orthopedist “Dr. Doom,” because it seemed as though the story became progressively worse as time went on. After an interminable period of inactivity and despair, I returned to yoga. I had attended yoga classes for a number of years, but was a yoga jock and a savasana dasher. “Real” people didn’t have time to lie around and do nothing. This time around I could barely move my atrophied leg. I had to sit. I had to listen. I had no choice. In those weeks of silence on the mat, I discovered the practice of yoga. I observed the subtle transformation from feeling stressed out to peaceful and grounded, an experience that eluded me during my years of striving for the perfect pose. It soon became apparent that I needed to learn more, and enrolled in a year long yoga teacher training program. The study of yoga philosophy and principles for teaching and practice had a profound effect on me. I was fascinated by the yamas and niyamas – particularly the idea of ahimsa. The idea that we bear a responsibility to do no harm to ourselves as well as others was liberating, particularly after years of pushing myself to exhaustion and illness. I could forgive my perceived weaknesses, failures and inadequacies, and operate from a place of compassion and loving kindness. With practice, I was able to open myself to shraddha, and to surrender my grip on life. This shift also changed the way that I viewed the process of therapy. For years I watched as my clients suffered, engaged in cycles of self-punitive thoughts and behaviors, just as I had. I realized that most of us are detached from our bodies and our inner divinity, and are locked in an endless spiral of doubt, angst, striving, and stress generation. Yoga seemed to provide a different way of thinking and being that shifted those samskaras, or patterns. It offered a holistic model of healing, as opposed to considering the mind and body as distinct entities. Compelled to understand this mind body connection, I dove further into the teachings and practices of yoga and studied to become a Viniyoga therapist. I discovered the therapeutic practices to be profound, vast, and incredibly powerful. In years of practicing and teaching yoga, and building a private practice in which I integrate evidence-based psychotherapy with affective neuroscience and yoga therapy, I have experienced a profound physical, emotional, and spiritual transformation. Yoga has taught me to honor the light within all beings, including myself. I am tremendously blessed to witness the metamorphoses of my students and clients, each of whom approach their practice with courage and determination. They are my inspiration. My personal evolution has taken many forms. Pranayama practices have strengthened my lungs, freeing me of the dependency on medication to breathe. Meditation has grounded me in my body, and my life, allowing me to embrace the ebb and flow of events with compassion and loving kindness. I have learned that life happens, and that we have the opportunity to respond with compassion, and in the spirit of ahimsa. Remarkably, even though I stopped taking medication for osteoporosis over two years ago, my bone density continues to improve. I have not broken a bone in six years! The wisdom of yoga in all of its forms has transformed my once broken being into a vessel of strength. The journey has been miraculous, and I am filled with gratitude and grace. B. 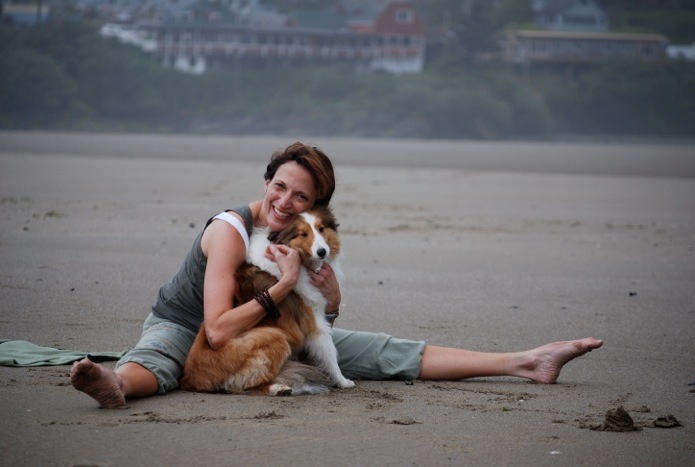 Grace Bullock, PhD, E-RYT is a mind∞body therapist and editor-in-chief of the International Journal of Yoga Therapy. Her clinical work and research link evidence-based models of psychotherapy with affective neuroscience and yoga therapy. Grace is dedicated to teaching yoga to individuals of all ages and ability levels, creating practices that foster health, strength, empowerment, and stress reduction. Her life and classes are infused with playfulness, humor, compassion, and unbounded enthusiasm. After struggling with illness and injury for many years, Grace approaches each day with gratitude for the blessing of being alive and present. She strongly believes that each of us has the ability to heal our physical and emotional wounds, and to create lives of peace and joy. 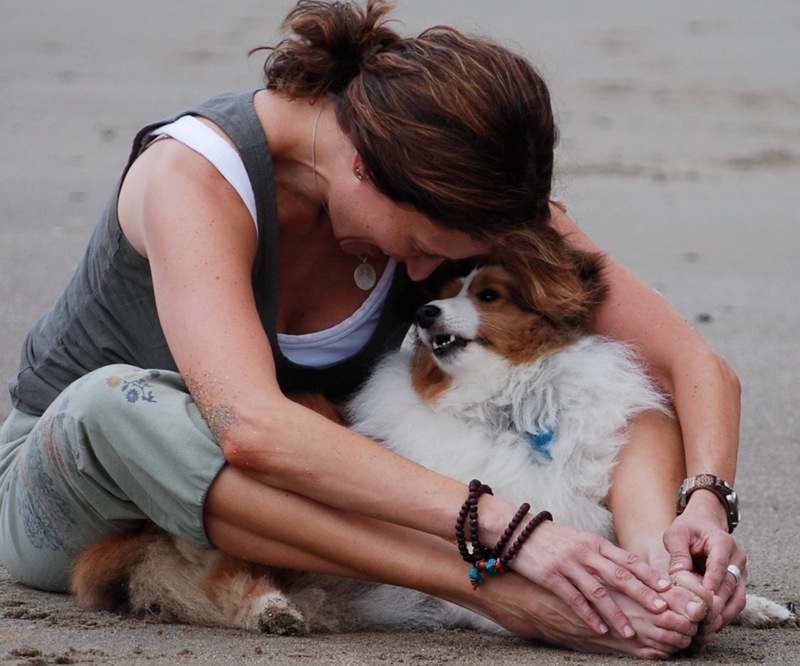 Her life is devoted to cultivating a better world one breath at a time. Learn more about Dr. Bullock’s Mind∞Body Therapy practice, research, writing and more at http://www.mind-bodytherapy.com, follow her on Facebook https://www.facebook.com/DrBGraceBullock, or write her at bgracebullock@mind-bodytherapy.com. Do you have a story of healing or transformation through yoga? The Yoga Diaries™ wants to hear it. Click here to submit your story. 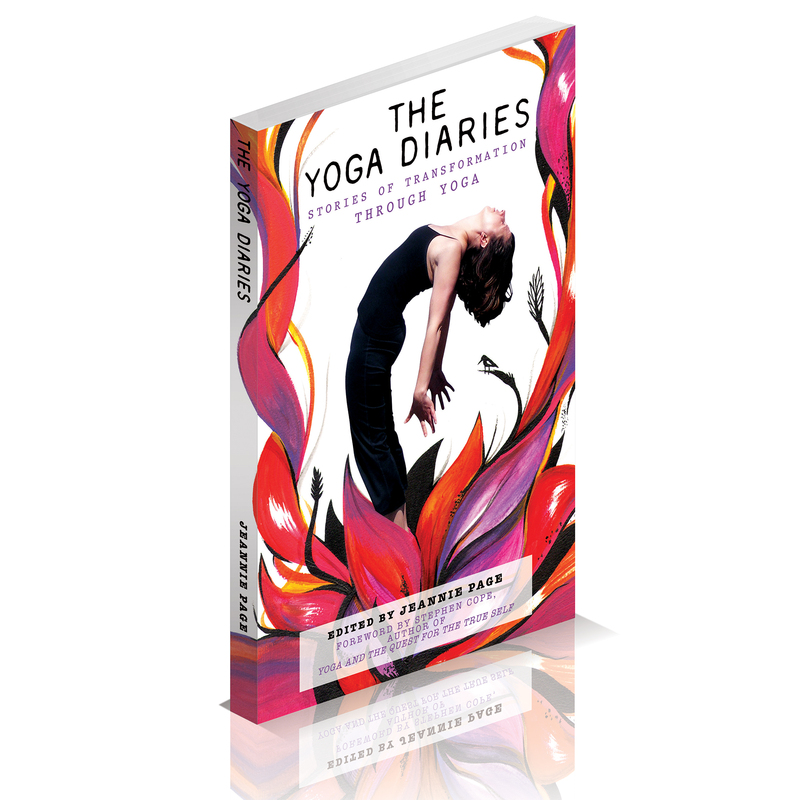 Find The Yoga Diaries™ on Facebook and follow us on Twitter @TheYogaDiaries. "My regular asana practice before work has been nothing less than transformational. It’s like flicking on a switch as the subtle energies within my body come to life, leaving me feeling refreshed and focused." Scott Robinson works as a banker in the high-stress financial world of London. Read how his yoga practice has helped him to cope with and transform that stress and dramatically shift both his personal and professional life. © 2012 The Yoga Diaries™. All rights reserved. Effective May 20, 2012. It is not permitted to copy, reproduce, sell, distribute, publish, modify or exhibit any of the content or intellectual property of The Yoga Diaries™ without explicit permission of The Yoga Diaries™.